Proceed with caution! 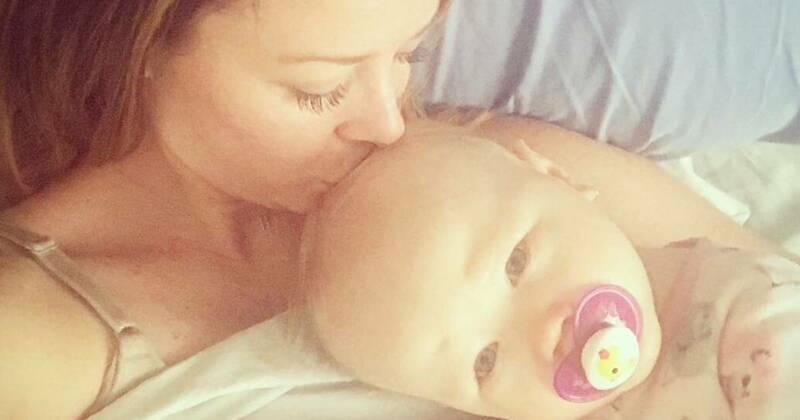 Jamie Otis ’ 18-month-old daughter, Henley, pooped in the bathtub, and the Married at First Sight star documented the whole thing. “Omg! She poo’d in the tub. #ewww #momproblems,” the Bachelor alum, 32, captioned a gross pic on her Instagram Story on Thursday, March 7. In less graphic footage, Otis, who shares the toddler with Doug Hehner , recorded her daughter wrapped in a towel on her dad’s lap. “You are all too happy,” she told the smiling baby girl from behind the camera. “Are you interrupting Daddy’s shower? Someone that can clean your poop out of the tub? Did you poopy? Can you say, ‘I s—t?’” And just like that, the little one did! The reality star and her husband, 35, welcomed their “rainbow baby” in 2017 after suffering a miscarriage one year earlier. Although the couple announced that they were expecting again in January, they lost that pregnancy as well. Two months after the loss, the “Hot Marriage, Cool Parents” podcast hosts revealed that they are trying to conceive again.